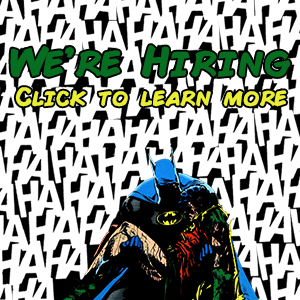 Hello Batman and Injustice fans. Hold onto your hats ladies and gentlemen, as I’m about to take you on a wild ride. We’re 30 issues deep into the Injustice 2 comic run, with issue #31 out this week. So what better time to get all you lovely folks caught up? I will try to be as brief as possible, but please forgive me if this article runs a little longer than expected. I have to say that I really enjoyed reading this series while catching up over the last couple of weeks. Writer Tom Taylor has created a spectacular story, with twists and turns a-plenty. Talented artists, Bruno Redondo, Daniel Sampere and Mike S. Miller add their unique visions to the run. Thid combination of creative talents really bring the story and characters to life. For those unfamiliar with what happened to get us to the point where Injustice 2 begins, stay with me as I give you a short account of the Injustice: Gods Among Us run. There are, obviously, spoilers ahead. We travel to an alternate world where the Joker, with the help of Harley Quinn, tricks Superman into killing Lois and their unborn child. Superman strikes back by killing Joker and setting up a dictatorship, taking control of the world. This regime is made up of villains and heroes alike. Notable members include; Wonder Woman, Aquaman, Green Lantern, Flash, Shazam, Black Adam and Sinestro. Batman fights back with the help of Superman’s best friend, Lex Luthor! 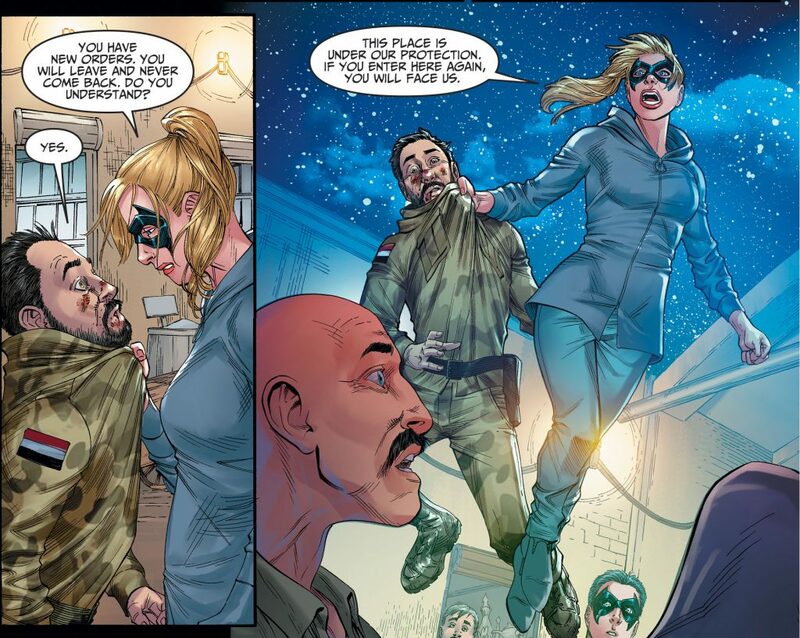 Creating an insurgency against the tyrannical Superman, with the help of Harley Quinn, Green Arrow and Black Canary. 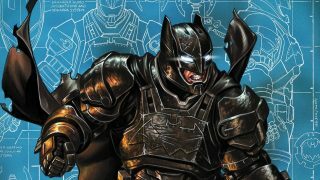 On the back foot, Batman turns to a universe in which Superman is still good in order to help him quell the regime. It’s Superman vs Superman, luckily the heroic Superman wins, putting an end to the regime. Sentencing the tyrannical Superman to a red sun prison, along with imprisoning members of his regime, Batman and his rebels win the war. And thus begins Injustice 2. Okay, so a lot happens in a short time period. Tom Taylor does an excellent job at not making it feel overwhelming at all, but, fair warning, this might be a bit difficult to follow. I will try my best, though! The run starts with a beautiful conversation between Batman and Superman, with Clark saying one of my favourite lines (it’s the line about Batman being incapable of a human response). As soon as the heavy, deep conversation finishes, we’re introduced to Harley Quinn; whose comedic styling is just what the reader needs at that moment. Batman then reveals his intentions to build a council in order to recreate the world better than it was before. The pair go their separate ways, hoping to reach out to some of their connections. 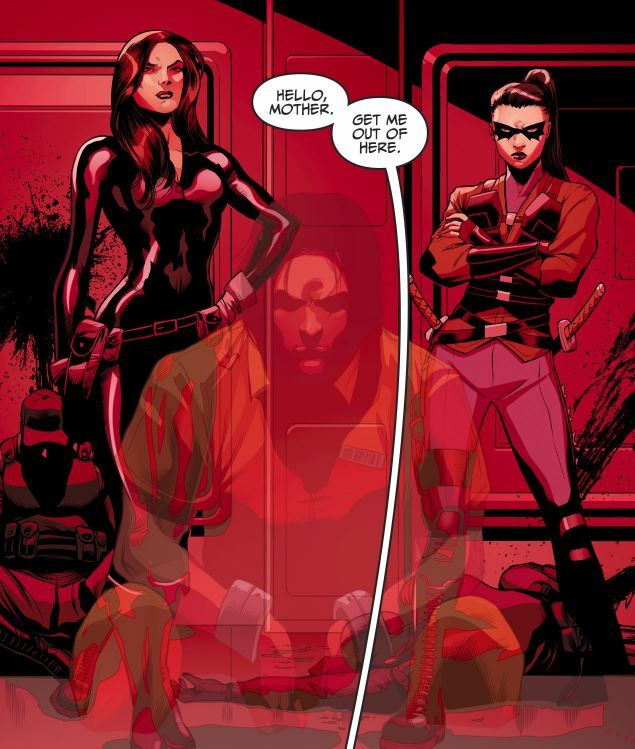 Harley is kidnapped by Amanda Waller and forced to join her Suicide Squad. Batman comes to her rescue, shooting Waller and blowing up some of the more expendable members of Suicide Squad. Now, I know what you’re thinking… Batman doesn’t use guns, he doesn’t go around shooting people and blowing them up, and you’d be right, so let’s call this guy Copycat Batman. 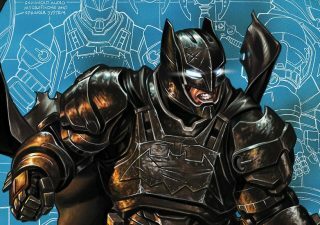 With the Suicide Squad now under his control, Copycat Batman fights his way out of the Pentagon. Waiting for him on the outside is Batman, yes folks, the Batman. The two engage each other, which leaves Copycat Batman victorious and Batman hospitalised. As Batman is recovering, Dr. 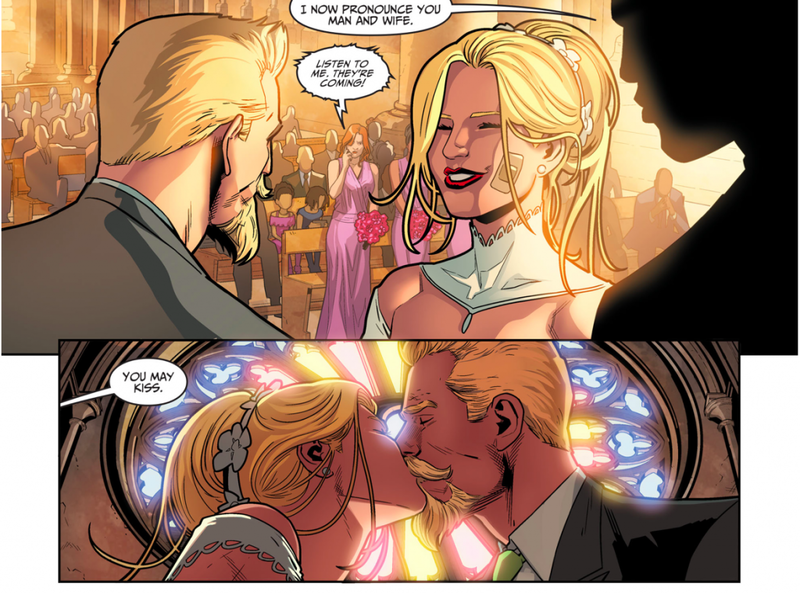 Fate pays a visit to Green Arrow and Black Canary, who now have a son. After a brief altercation, Dr. Fate sends the family to Batman’s aid. Just in time too, as Copycat Batman uses the Suicide Squad to mount an attack on Superman’s prison, in an attempt to break him out! They almost manage it too, were it not for a very small contingency plan Batman of the real Batman’s devising: The Atom! Armed with a small piece of Kryptonite, Atom enters Superman’s brain and takes him down from the inside. 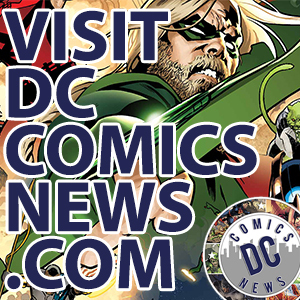 While the heroes seemingly win the day, Damian Wayne is rescued by his mother and sister! That’s right, welcome Athanasia Al Ghul, daughter of the Bat. Fast forward to the next issue and Harley is taken to Copycat Batman’s boss, Ra’s Al Ghul. Reluctant to join him, Ra’s provides Harley with some motivation, her daughter! With the threat of her daughter being harmed, Harley joins Ra’s forces. Bruce visits an old friend, Ted Kord (the original Blue Beetle) and asks him to join his council. Before being given the chance to have a meeting however, Kord is kidnapped by Ra’s forces. Al Ghul announces his intentions for the world; a clean, green planet. Blowing up buildings owned by companies worth millions, killing thousands, as well as broadcasting the slaughter of his captives (including one Ted Kord) certainly show that he means business. Batman recruits Black Lightning, Aqualad, Green Arrow, Steel, the President of the U.S and the President elect to his council. Announcing his intentions of remaking the world. Kara Zor-El crashes on Earth, landing in Kahndaq and picked up by Black Adam. 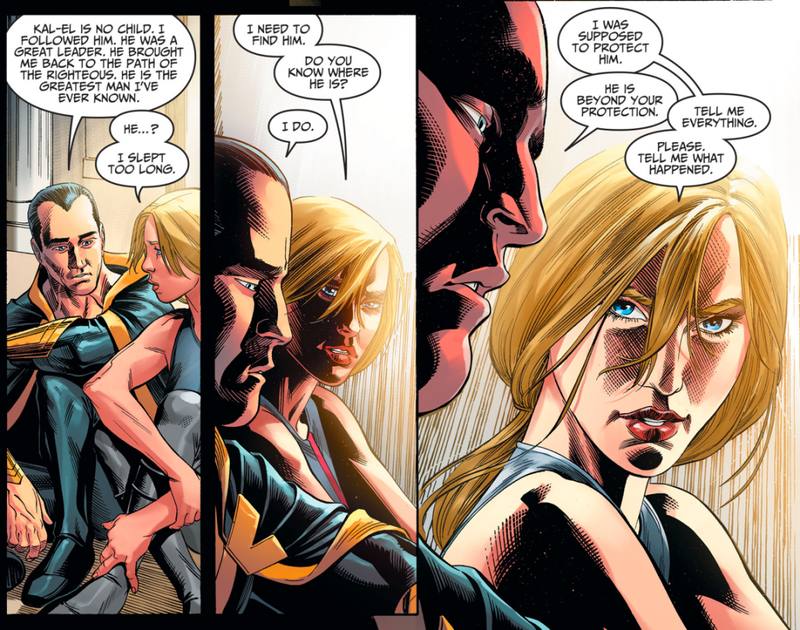 Kara is kept a secret by Black Adam, as he starts to fill her head with stories of Superman and Batman. At Ted Kord’s funeral, Oliver proposes to Dinah and Bruce is confronted by Jaime Reyes, the new Blue Beetle. Preparations are made and the wedding takes place, with Wildcat walking Dinah down the aisle. An alarm goes off at Wayne Mansion, causing Bruce to exit early. The wedding is crashed by the Suicide Squad and the children of Black Lightning are taken, as well as the happy couple’s son. At the mansion, Bruce runs into his son. 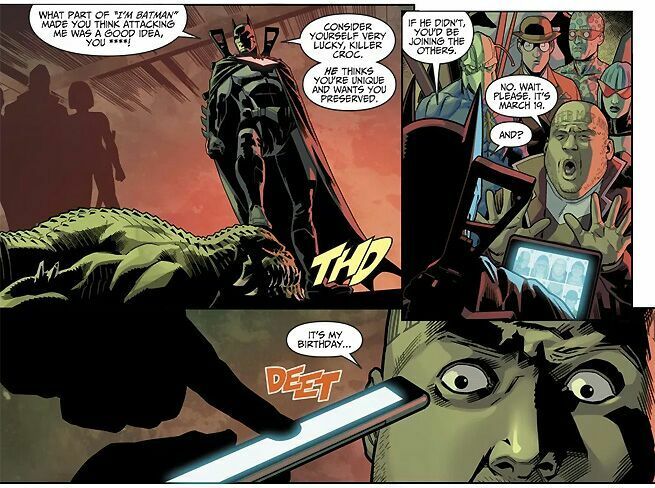 Damian digs up the dead body of Alfred and, along with Athanasia and Copycat Batman, attacks Bruce before teleporting out with Alfred’s body. Alfred is resurrected by Damian in the Lazarus pit and Batman recruits Plastic Man, his son Luke and Blue Beetle to his team. Ra’s threatens the heroes with their loved ones before leaving to start his plan. 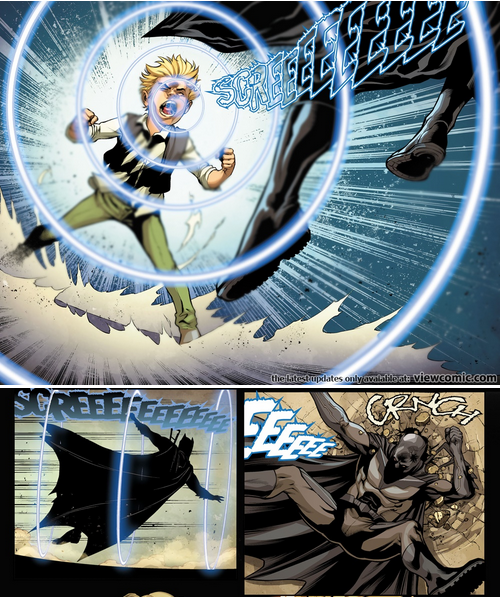 Bruce announces that he put a tracker on Connor, Green Arrow and Black Canary’s son, allowing them to track him. Batgirl infiltrates the last known location of the children, with Plastic Man and Luke. Fighting off a small group of ninjas, the three find a good spot to teleport in the rest of the team. Finding the entrance to what seems to be Ra’s base, Batgirl puts Blue Beetle on guard duty. Plastic Man and Luke already inside the compound, searching for the children. Finding them, the pair start their rescue, aided by Harley Quinn. Batman and Wildcat split from the rest of the group in an attempt to find Ra’s and put a stop to his plans. Poison Ivy splits the pair, taking hold of Batman and sending Wildcat down a different path. Wildcat finds Harley and the kids being held at gun point by Copycat Batman. After a short fight, giving the children enough time to escape, Copycat Batman shoots Wildcat, nearly killing him. Connor convinces Harley to go back and save Wildcat, using his canary cry to knock Copycat Batman unconscious. Both villains and heroes converge on the location of the scream. 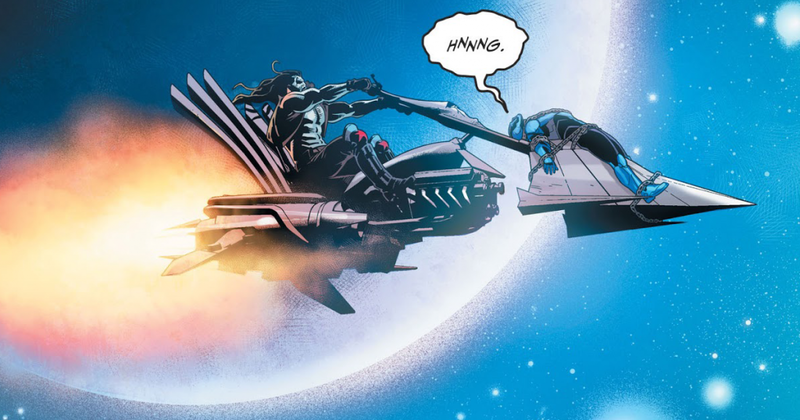 A small fight breaks out between Batman and Nightwing, ending only when Alfred intervenes, finally rising from his wheelchair after the resurrection. Speaking to the group, Alfred tries to get Bruce and Ra’s to sit down and talk about the new order of things. It was going well, were it not for Blue Beetle blasting through the roof of the sanctuary of animals. Killing one of the endangered species and enraging Vixen into attacking the group. A massive fight ensues in the sanctuary that leaves the whole place burning. In a desperate attempt to escape the burning compound, Ra’s and his underlings teleport to the secondary base location, which happens to be Gorilla City. It is there that it’s revealed Ra’s Al Guhl is building Amazo the android. 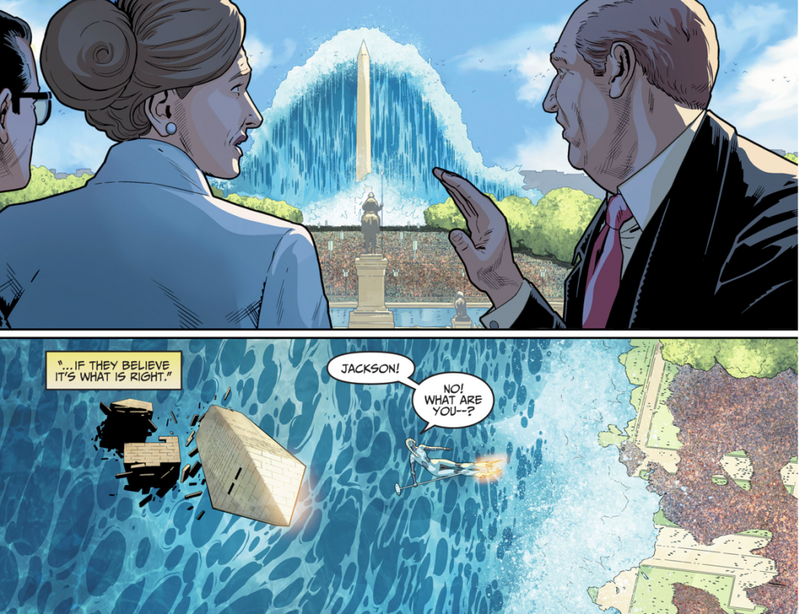 Batman and the heroes also manage to escape the burning sanctuary, before finding out that Aqualad has drowned the President and President elect in Washington D.C.
After the events at the sanctuary, Nightwing heads to Kahndaq on a diplomatic mission attempting to persuade Black Adam to join his crusade. While in Kahndaq, Nightwing spots Kara. Sneaking into her room at night, he quickly befriends her and the pair go out for a night-time fly. Ending up in Bialya, a war torn country, the duo fight against a group of soldiers before they can kill innocent people. When the pair return to Kahndaq, Black Adam is waiting for them. Remembering what it’s like to do good again, Damian stays and helps train Kara in the use of her powers. 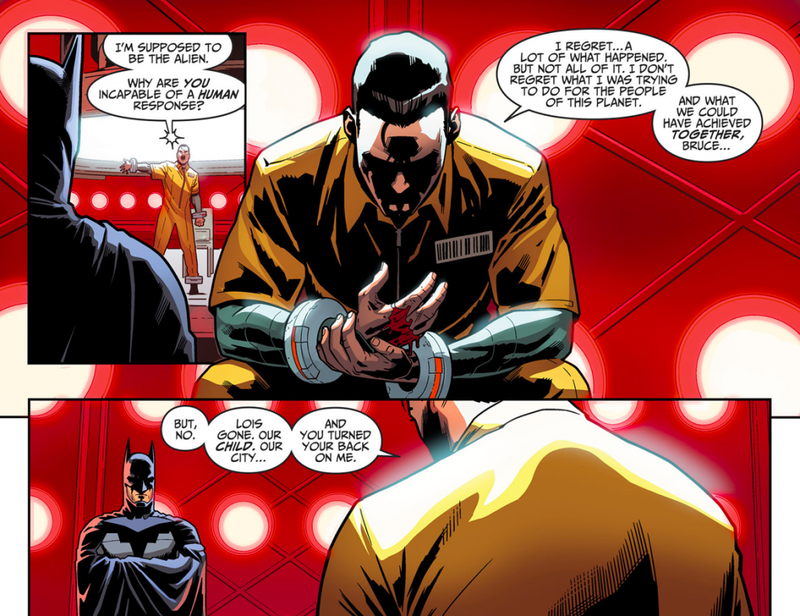 Black Adam reveals to both Damian and Kara that he plans to break Wonder Woman free from prison. As the highest ranking member of the cabinet, Black Lightning becomes the President of the United States after the attack from Aqualad. Whilst this is happening, Kara, Nightwing and Black Adam are on their way to Themyscira to rescue Wonder Woman. 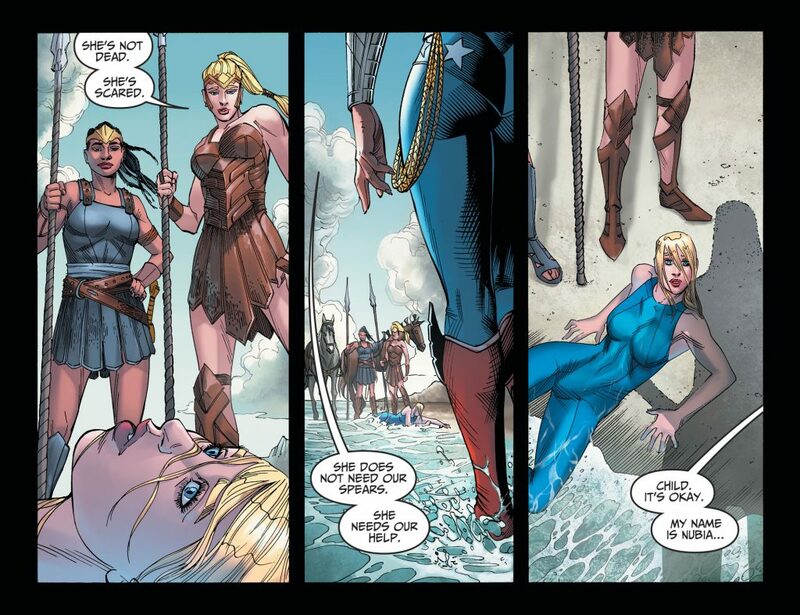 Crashing on the island, Kara finds herself surrounded by Amazons, including the new Wonder Woman, Nubia. A small group of Amazons, still loyal to Diana, help Kara release her and take the queen captive. Queen Hippolyta manages to escape their clutches and alerts the rest of the island by blowing a war horn before she is killed. A battle erupts on the island, with Kara, Diana and Phillipus taking on Nubia before finally putting her down. 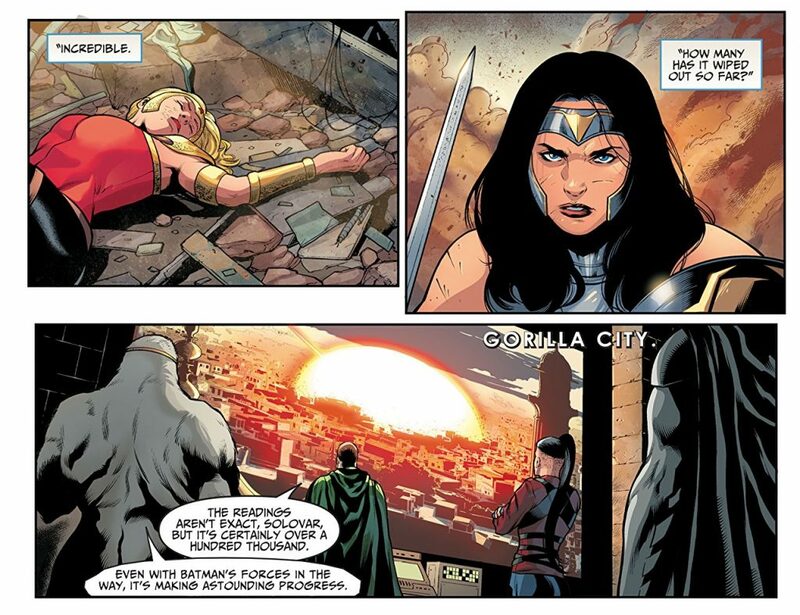 As the fight continues, those loyal to Diana help her and Kara escape Themyscira. Bruce has created an all-seeing programme called Brother Eye, which he shows to Catwoman. Meanwhile, Ra’s and the gang are in Gorilla City and Grodd is none too happy about taking orders from a human. Wanting to give his new weapon a test run, Ra’s asks Ivo if it’s functional. With Ivo’s confirmation Ra’s sends Amazo to a small town in Arizona. Amazo destroys the town, killing all its residents. Batman is alerted to the destruction caused by Brother Eye. 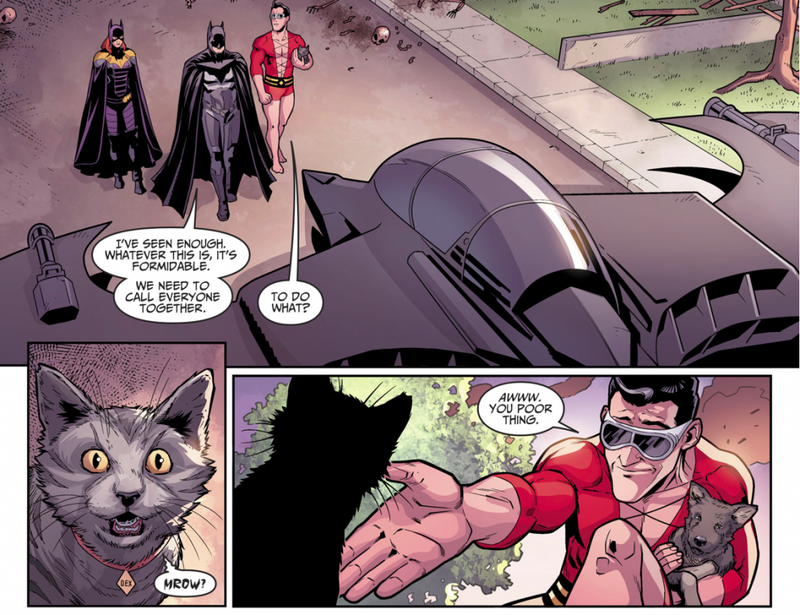 Taking Batgirl and Plastic Man to the site of the devastation, the trio find no survivors except a puppy, that Batman takes home and calls Ace, as well as a cat which is later revealed to be Dex-Starr the Red Lantern. Catwoman reveals to Batman that the Teen Titans aren’t dead, they’re imprisoned in the Phantom Zone. With this new information, the Justice League Task Force head to the Fortress of Solitude to rescue the Teen Titans. Upon reaching the Fortress, the team is faced with the difficult challenge of breaking in. Luckily the team have two extra stretchy members, Plastic Man and Luke make quick work of the complicated mechanisms, opening the doors. What they were not prepared for however, were the Eradicators that came flying out attacking them! Quickly put on the defensive, but manage to survive thanks to the the timely intervention of a certain Jonathan and Martha Kent. If not forthis elderly couple Batman and his team would have been done for! Surprised to see them, the Kents usher them all inside, with the exception of Harley. Bruce tells them why he and the team are there. The Kents are quick to help in any way they can. Opening the portal to the Phantom Zone, it’s decided that Plastic Man should go in and try to find the Titans. Anchored to his son, Plastic Man stretches his way through the Phantom Zone until he finally sees someone he recognises. Not the Titans unfortunately, but Imperiex, who tells Plastic Man where the Titans are located. Stretching his way to the Titans location, Plastic Man finds Starfire, Wonder Girl, Red Robin and Superboy. Happy to see his friends, Plastic Man tells them to hold onto him and he’ll get them out. 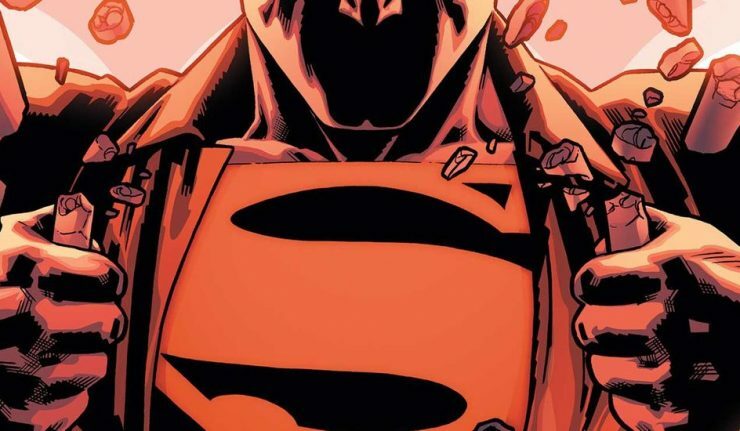 Superboy reveals that he can’t leave, the fight with Superman left him mortally wounded with The Phantom Zone the only thing keeping him alive. The Titans aren’t the only ones to escape the Phantom Zone. While everyone is distracted by the happy reunion, Plastic Man mentions that it feels like something else is coming. It’s not until Red Robin is killed with heat vision that the group realises what Plastic Man was saying. Standing in the portal is General Zod. Once again the group of heroes spring into action, Batman still holding Tim Darke’s corpse. Zod easily takes out the Eradicators and some of the heroes, until Green Arrow shoots him with a Kryptonite arrow. Zod escapes the Fortress, but Batman isn’t going to let him get away. Teleporting back to the Batcave, he gets in a suit of armour before facing Zod one on one. Batman sprays Zod with a combination gas of fear gas and Joker toxin. Gorilla City is notified of the fight at the Fortress. Not wanting the two to ruin his plans, Ra’s sends Amazo to kill Zod. 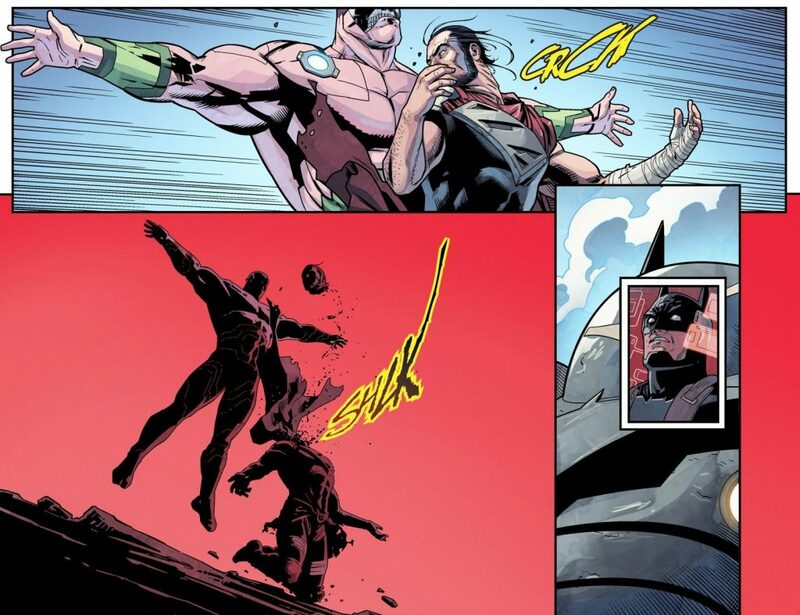 All Batman can do is watch as Amazo rips Zod’s head off. Thinking quickly, Bruce tells Batgirl to put Zod’s body on ice as he goes to visit Wildcat in hospital. Turning off Wildcat’s life support, Batman uses up one of Wildcat’s nine lives. Wildcat then takes Batman to visit Dr. Midnite, who Bruce convinces to perform surgery on Superboy and Zod’s body. With the aid of Harley, Dr. Midnite successfully performs a heart swap. Replacing Superboy’s failing heart with Zod’s working one. Things are heating up in Gorilla City. Nightwing’s no longer okay with being a simple lacky, especially after the wanton destruction in Arizona. Discussing his new found heroism with the other heroes on his roster, Vixen and Animal Man, Damian finds out that they’re also regretting their decision. Heading to the throne room of Gorilla City, the three confront Ra’s, which leads to Grodd being less than happy. 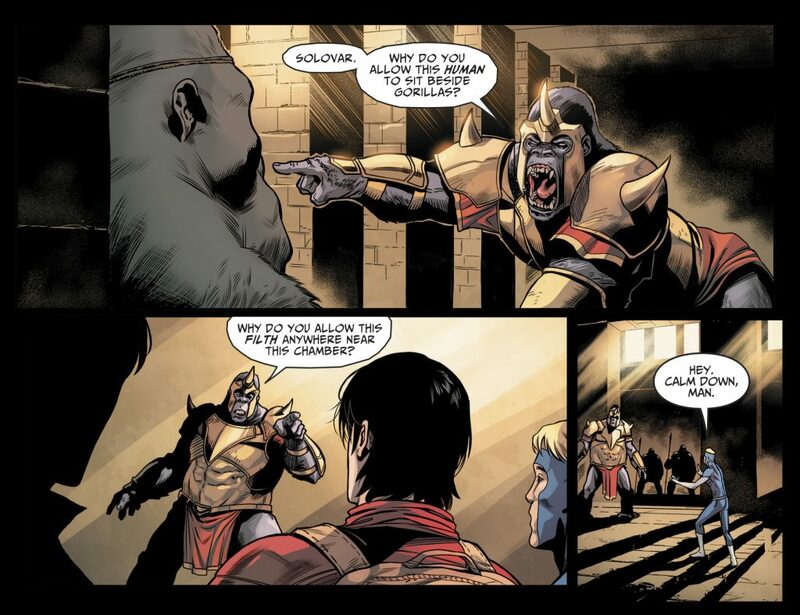 Grodd lashes out at Solovar and Ra’s, calling forward his loyal followers and attacking Solovar in the throne room. Ra’s takes this distraction to escape the fray and head to Ivo’s room. 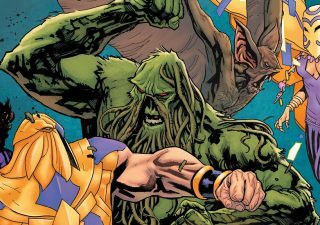 Ra’s takes control of Amazo, commanding it to put a mental dampener on Grodd, bringing the fight to an end. Ra’s then commands Amazo to attack another, more populated city, hoping the heroes will come to try and stop the destruction. With Amazo in Delhi, Brother Eye contacts Batman. Sending out a message on all frequencies used by the Justice League, old and new, Batman sends for reinforcements. He and his team arrive first on the scene. 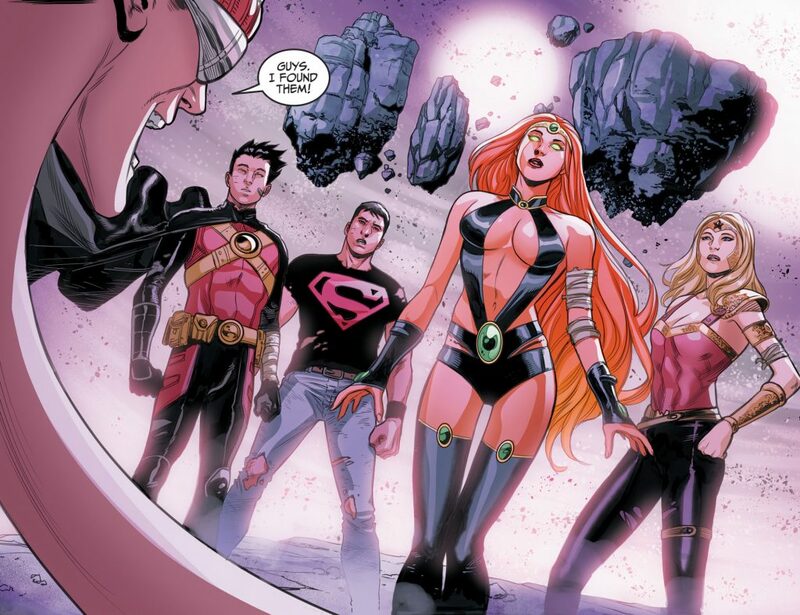 Assessing the damage, Batman starts giving out orders; telling Superboy, Wonder Girl and Starfire to ground Amazo, while the rest of the team try to get the civilians clear. With Amazo grounded, Batman tells the others to attack. Green Arrow fires a small nuclear warhead arrow at Amazo, who shrugs it off before seemingly vaporising Green Arrow and Black Canary. With his side on the defence, Batman is the last one standing. Just when it seems like Amazo’s going to win the day Wonder Woman and Black Adam turn up. Diana puts her shield between Batman and Amazo, saving the Dark Knight’s life. 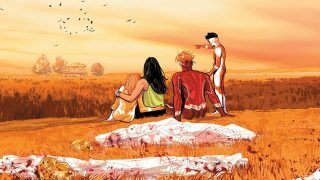 It’s also revealed that The Flash managed to save Green Arrow and Black Canary from being vaporised. Nightwing, Vixen and Animal Man try to sneak into Ivo’s room to shut down Amazo. 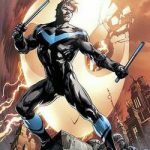 They are confronted by Copycat Batman, who is convinced by Nightwing to join them and take off the mask, revealing himself to be Jason Todd! With only Batman, Black Adam, Blue Beetle and Wonder Woman left fighting, Nightwing contacts Kara and tells her to get to Delhi. Kara flies in and flies Amazo off to the moon, quickly followed by Blue Beetle. Ivo hacks into Amazo’s network, giving Kara an opportunity to finally take the android out. After a talk with Jaime, Kara asks him to keep her identity a secret, especially from Batman. Back in Gorilla City, Athanasia finds her brother and his cohorts in Ivo’s lab. Finding out what Ivo had done, she shoots him. Ra’s loses his temper, and imprisons both his grandchildren. Vixen and Jason both manage to escape, but Animal Man is killed in the escape attempt. Still in Delhi, Wonder Woman and Batman almost come to blows, until Superboy (wearing one of Clark’s old costumes) breaks them up. Finding out that both her children are imprisoned, Talia releases them. Athanasia heads to Wayne Manor, coming across Selina and shooting her. 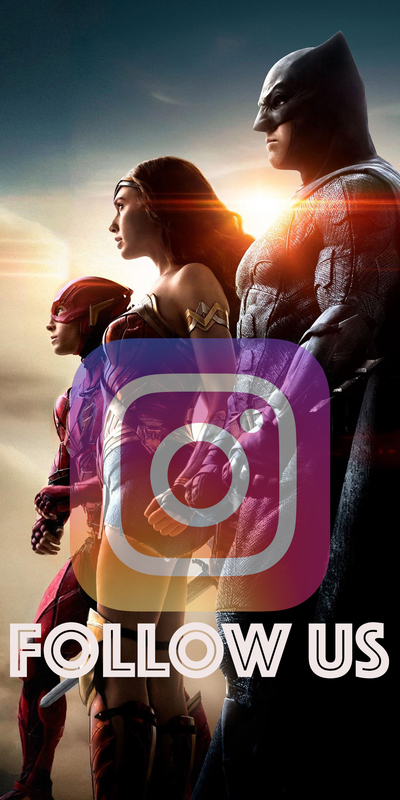 Bruce is having a meeting with the Justice League Task Force about bettering the world, when Brother Eye informs him that a wing in the mansion has ‘gone dark’. The team ask if there’s anything they can do to help, Bruce assures them that there isn’t. He teleports to the mansion to investigate and finds Selina Kyle’s blood, but not her body. 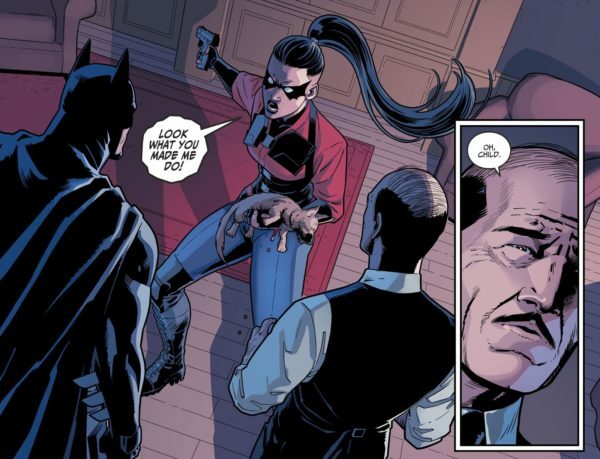 Continuing on, Bruce comes across Athanasia holding one gun to Ace and another to Alfred. Athanasia confides in her father, who tries to convince her that he had no idea she existed. Slowly Athanasia gets closer, still holding a gun to Ace, who begins whining. Alfred steps between daughter and father, trying to defuse the situation. Meanwhile Selina has crawled her way to the Batcave to attempt patching herself up. Brother Eye informs her that there are more intruders on the mansion’s grounds. A shot is fired by Athanasia and it’s revealed that she’s shot Ace. Pulling another gun on Bruce, she goes to shoot, but is stopped and take out by the Justice League Task Force (who were the intruders). Hal Jordan is on trial for his crimes while in Superman’s regime. The Guardians of Oa take pity on him, remembering all the good he’s done, sentencing him to dig trenches on a prison planet. The planet’s warden is Soranik, Sinestro’s daughter. Sinestro is also sentenced to the same planet and Hal attacks him, landing them both in solitary confinement. While they are incarcerated, the planet is attacked by the Red Lanterns, led by Atrocitus and Dex-Starr. Atrocitus is on the warpath for Sinestro, not caring who gets in his way. The Green Lanterns that remained on the planet after dropping off Sinestro and other prisoners, fight back. Having been given permission to use lethal force by the Guardians of Oa, they kill one of the Red Lanterns. Sinestro makes a dive for the ring, Hal dives in to stop him. The ring is attracted to Hal more than to his nemesis. Fighting back against the Red Lanterns, Hal gives the Green Lanterns enough time to escape the planet. 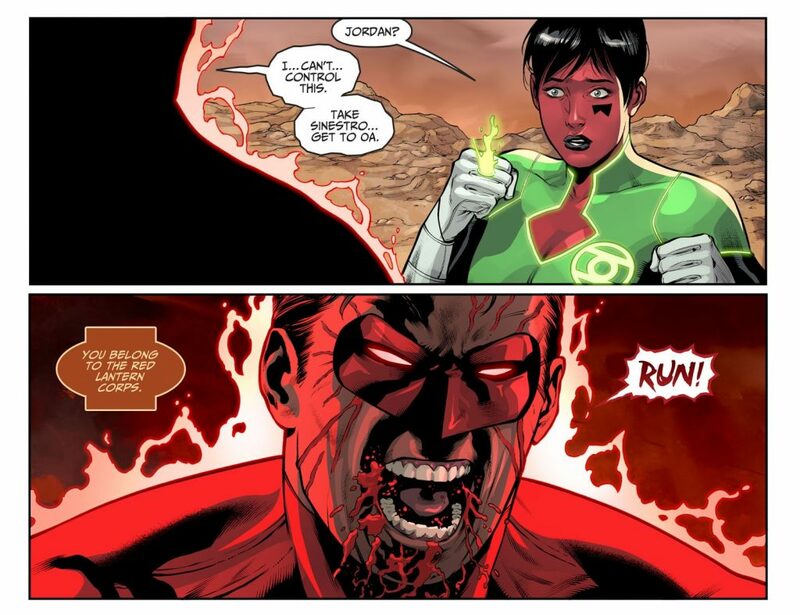 Soranik takes Sinestro and the rest of the Green Lanterns back to Oa to warn the Guardians. Hal is eventually overpowered by the Red Lanterns. Atrocitus makes him a deal, join them and use the red power ring, or die. Not having much of a choice, Hal joins the Red Lanterns. Atrocitus reveals his plans to recruit Starro the Conqueror as a Red Lantern. Giving him a red ring and heading off towards Oa to destroy the Guardians and the Green Lantern Corps. Meanwhile, back on Earth, the Teen Titans; now only three members strong, start recruiting. Starting with Blue Beetle, who is completely oblivious until Booster Gold fills him in. 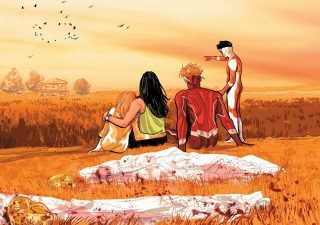 Unable to process that anyone would want to have him on their team, let alone the Teen Titans, Jaime says he’ll think about it before ushering them away. Not long after they leave, Jaime and Booster are attacked by Lobo, who kidnaps Blue Beetle. Booster Gold and the Titans speed off in a Javelin, stolen from Batman. An alarm sounds, one that no one knows how to turn off. Meanwhile, Lobo delivers Blue Beetle to Metron, who informs Jaime that he is the universe’s only hope, telling him about Starro and the Red Lanterns on their way to Oa. Hal takes his chance and flies there faster than the other Red Lanterns, to warn the Oans about the incoming attack. They don’t believe him, until it’s too late. Metron, Blue Beetle and Lobo are on their way, but bump into Booster Gold and the Teen Titans. Metron informs them all about the attack on Oa, teleporting them all to help out. Well, that’s it folks. We’re all caught up. Congratulations if you’ve made it this far, if not. Well I’m not talking to you, but I can’t say I blame you either. It’s been a long, wild ride. Now we’re all up to date, just in time too, as this week sees the release of Injustice 2 #31.